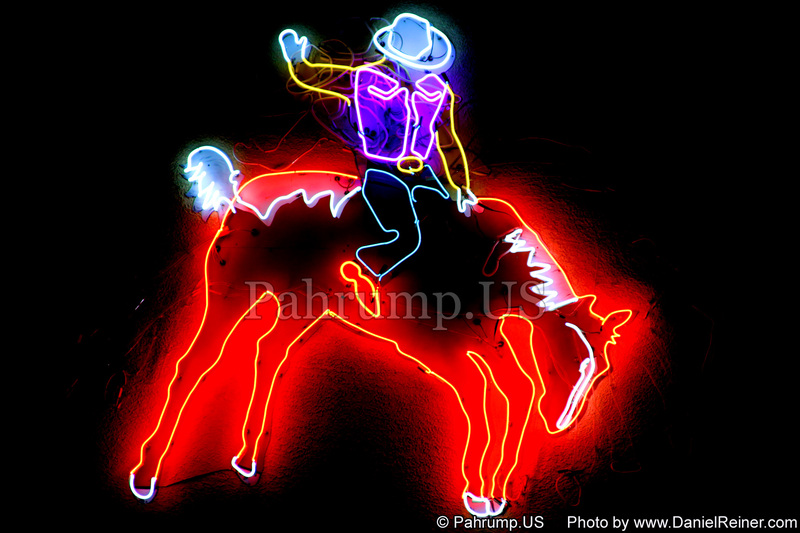 This is the large Neon Cowboy in front of Saddle West that simulates a Cowboy in a rodeo. I put this image on this site because I am really into photographing Neon and Neon Signs. It is not as easy as it seems and takes a lot of work to bring out the colors. I must have over 100 neon images of Las Vegas such as Palace Station Neon Sign, and Ballys Neon Sign that I am trying to get up and online but VegasImages website will be 50 times bigger than this website. Hopefully I will be able to fix all the bugs in this image format before I complete VegasImages.